Caffeine has been known to men since the beginning of time. It is one of the most sought-after substances. It induces the production of adrenaline and triggers a state of alertness. The most well-known source of caffeine is coffee. However, nowadays, there are numerous drinks containing high amounts of caffeine. Some of which are Pepsi, Cola, Green Tea, and Mountain Dew. How do you get Caffeine Overdose? According to research, a regular cup of coffee contains approximately 75-150mg of caffeine. Meanwhile, a healthy amount of daily caffeine intake is around 400mg. This is for a healthy adult weighing roughly 70kg. This means that one can drink up to 4 cups of coffee a day. That way, the drinker will not experience any major caffeine-induced side effects. Caffeine overdose may occur at 400mg or 450mg. Of course, this depends on a person’s weight, age, height, and medical history. In addition, overdose symptoms also depend on the amount of the substance. Whether the individual has taken other harmful substances can also be a big factor. People mostly associate caffeine with coffee beans. However, you can also find it in other plants, like the South African Yerba Mate and Guarana. Also, let’s not forget green and black tea leaves. Caffeine, in its pure form, is a bitter, white powdery alkaloid known as 1,3,7-trimethylxanthine. Its structure is extremely similar to molecules found in the brain called adenosines. These naturally-occurring molecules bind to receptor cells in the brain. As a result, it exudes a calming effect on the nervous system. Then, caffeine blocks these receptors before adenosine can reach them. It, instead, serves as a stimulant. Consequently, it results in heart rate and blood pressure increases. Finally, it triggers a sense of alertness. Doctors often caution avid coffee drinkers to keep their caffeine intake under 400mg a day. This is in order to avoid possible caffeine overdose symptoms. Otherwise, it could have inconvenient effects on the brain and body. They include jitters, anxiety, insomnia, and dizziness. Can Caffeine Overdose Cause Death? While death due to caffeine overdose is rare, it is not unheard of. In fact, recent reports indicate that about 1675 caffeine overdose cases were due to various energy drinks. About two-thirds of the reported deaths were children under the age of eighteen. Obviously, drinks such as Red Bull, Cola, and Mountain Dew are popular because of the caffeine. Surprisingly, even chocolate milk may contain astoundingly high amounts of caffeine. It is why people should be wary of caffeine’s side effects and the possibility of overdose. Therefore, you should drink these beverages along with coffee in moderation. We know that caffeine can increase blood pressure and heart rate. However, it is not really a dangerous property of this substance consumed within regulatory limits. When ingested above the recommended dosage, it can cause a heart attack. As a result, it can end in death. To avoid such a predicament, one should carefully track their daily caffeine intake. Furthermore, pay attention to the amount of caffeine indicated on different beverage labels. 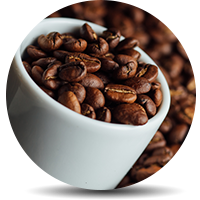 If caffeine overdose does take place, one should immediately call 9-1-1. Wait for help to arrive. This is in the worst case scenario. The main purpose of caffeine overdose treatment is to rid one’s body of caffeine. At the same time, they will managing the symptoms. Often, they will give activated charcoal. They use this medicine mostly for drug overdose. It prevents the caffeine from entering the gastrointestinal tract. In case the caffeine is already in the gastrointestinal tract. Therefore, the other option might be a laxative or a gastric lavage. During the treatment, they will constantly track the patient’s heart rate. In addition, they will also implement breathing support if need be. In mild overdose cases, they may allow home treatments. At that time, one should consume a lot of water and foods rich in magnesium and potassium. They include bananas and greens. In case you are unsure of the severity of your overdose, call your doctor and seek professional advice. What is Caffeine Withdrawal Like? Caffeine is the world’s most popular legal stimulant. It can cause mild dependency and somewhat inconvenient withdrawal symptoms. In most cases, withdrawal in not as nearly as severe as in other stimulants like cocaine or heroin. However, one may experience severe headaches, crankiness, irritability, lack of concentration, and constipation. Caffeine can exit one’s body within a week. Of course, this depends on the amount of daily caffeine intake, the individual’s tolerance, and overall health. To find out more about how to deal with your addiction recovery, click here.